If you’re promoting your business on social media, chances are you’ve heard a lot about social media monitoring. However, social media monitoring doesn’t only allow you to keep a close eye on your customers and competition but it also helps you generate more leads. And if you’re wondering how, make sure you read on. What is lead generation and why do I need it? Let’s start with basics – what is a lead? A lead is a person who has shown interest in products/services your company offers. And the process of lead generation is turning strangers into those leads. In other words, it’s a way of warming up potential customers and trying to get them on the path to eventually buy something from you. And why is lead generation so important for your business? Well, by showing interest in what your business has to offer, prospects are initiating contact with you. This can prove to be much more valuable for your business than you initiating contact with them. This is the case because they’ve already considered the idea of buying from you and doing so feels more natural to them, which can sometimes be a huge plus. Luckily, there are plenty of ways you can generate leads on social media by sharing useful content, running contests and streaming live videos being just some of them. No matter which of these you opt for, there’s always a chance of the prospects turning into loyal followers of your brand and recommending it to their friends and family. We’ve already talked about some of the best ways to generate leads. Sharing quality content is an amazing idea since the web is full of people looking for information. Also, live streams are constantly gaining more attention and live streaming can help you generate plenty of leads. Still, how do you figure out what you should do in order to generate more leads? The answer lies in collecting information. You simply need to know what social media users look for in order to be able to provide them with it. Different personas tend to seek different solutions for the same problems and convert at different rates. And by understanding these differences you should be able to reach out to them with more targeted messages which are going to result in a better lead generation. It’s also extremely important that you collect data on how well you’re doing on social media. No matter what kind of business you’re running, you’re probably already using platforms like Facebook, Instagram and Twitter to promote your products/services. But if you’re not tracking your social media efforts, you’re not making the most out of them. That’s why you need to start using a social media monitoring tool and get the complete picture of your social media success. With so many users talking about companies they do business with. This means they’re talking about you as well and if there’s no reason why you shouldn’t take a closer look at these discussions and see if there’s something you can take from them. This applies to every company out there, big or small, since the opinion of your customers is something you simply can’t ignore. One of the things you have to pay special attention to is what bloggers and journalists in your niche have to say. Besides taking a look at what they have to say about your company, you need to make sure you stay on top of their posts regarding the entire industry and your competition. Luckily, following them on social media should be enough to be able to take a look at each post they share. Besides this, it’s critical that you be aware of what other social media users have to say about your company. And since you can’t just go and follow all the users on platforms you’re on, this is where you need a help of a social media monitoring tool. These tools have been specially designed to help you figure out what people think of your company and whether they’re ready to engage in posts you share. If you want to use social media monitoring in order to generate more leads, you need to come up with a good lead generation strategy. First, you need to find tools you’ll use to collect data you’re going to base your strategy on. Once you do that, you’ll need to monitor your social media efforts until you have enough data to create your strategy. Luckily, lead generation via social media platforms is pretty fast and effective. With enough data, you should be able to identify the right platforms to focus on when trying to generate leads. 40% of marketing professionals said that Facebook is a crucial part of lead generation but it’s still recommended that you check which platforms do the trick for you. Once you know which platforms you’re going to use, coming up with ways for generating leads shouldn’t be too difficult. With more leads, you should be able to see your company making more sales. Of course, this is only the case if you have a well-designed website where all of your leads will be able to take a closer look at your products or services. 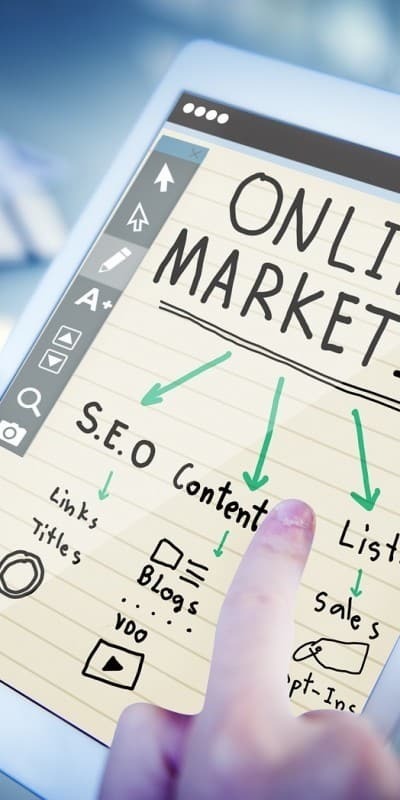 If you already have a website with your store set up, you should think about optimizing it for social media, since most social media users access their accounts using smartphones and tablets. We’ve already mentioned that Facebook is one of the best platforms out there when it comes to generating leads. Of course, this doesn’t mean setting up a Facebook page and calling it a day is enough to get all the leads you need. Instead, there are various techniques you need to apply in order to make sure you generate all those leads. Facebook contests have proven to be one of the most effective ways to generate leads with Facebook. Basically, what you need to do in order to run a successful Facebook contest is ask your followers to like and share your posts in exchange for a chance to win a prize. The prize doesn’t have to be as lucrative as you might believe. Usually, a freebie or a discount on your products/services will be just enough to encourage people to participate in your contest. Remember that monitoring your followers’ response to your contest is the key to success. Visuals also play a huge part in lead generation with Facebook. According to some reports, posts that include an image tend to get 2.3 times more engagement than posts without one. Of course, choosing the right visuals will have a positive effect on your lead generation efforts. Just bear in mind that you need to include a link to your website in your image description. This is especially the case with your profile and cover images. Online businesses are on the rise but there are still so many brick-and-mortar stores that are trying to generate more leads as well. If this is the case with you, monitoring locations for potential leads might also be a good idea. In order to do this, you need to monitor searches for your keywords, but only in the area you’re operating. This is something you can easily do with platforms such as Twitter and Instagram. When setting up your keywords, you’ll want to use they keywords relevant to your industry and then select location for the search. It’s also recommended that you take a closer look at keywords your competitors are using. When it comes to mentions that include your location, you’ll need to be alerted as quickly as possible. That should allow you to jump in right away and engage with potential leads nearby. If you’re thinking about expanding your business, social media monitoring can also come in handy. Obviously, you can monitor popular social media platforms to figure out whether expanding to a specific locations makes sense. Again, this is where you’ll need to pay a lot of attention to keywords. Do this and you’ll get an alert every time someone searches the web for the keyword in your area of interest. Monitor these keywords for some time and you should be able to make the right decision on whether to expand or not. All in all, lead generation is an important aspect of running your own business and you’ll have to put a lot of effort into it. However, with all the social media monitoring tools available right now, this shouldn’t be too difficult and you’ll be able to figure out the ways to generate as many leads possible. Of course, you need to make sure you constantly look for new ways to improve your social media monitoring efforts and increase the number of leads you generate even more. Claudia Paisley Propp is graduated journalist and digital marketing lover. Lets just say – Communication in all shapes and sizes is her passion and what she does best. She is that lucky girl who gets to live her dream. Writes for Bizzmark blog.